Litigation is fraught with uncomfortable uncertainty. Adding in the exponentially increased unknowns visited by cross-border disputes can lead to a corporate stroke. As a result, many cross-border agreements now incorporate game-changing alternative dispute resolution (ADR) provisions that provide for an agreed dispute resolution process. Yet, most of these clauses contain basic, simplistic language that effectively deprives both parties of ensuring a predictable resolution procedure. The very essence of an agreed-upon alternative dispute clause is to afford the contracting parties control over how and where a future, hypothetical dispute will be resolved. The optimal time to decide such rules is before there is a dispute, when neither party believes a dispute will ever arise. It is during this time that the parties may agree upon an unlimited array of issues that add a level of predictability for the process, including where the process will take place. 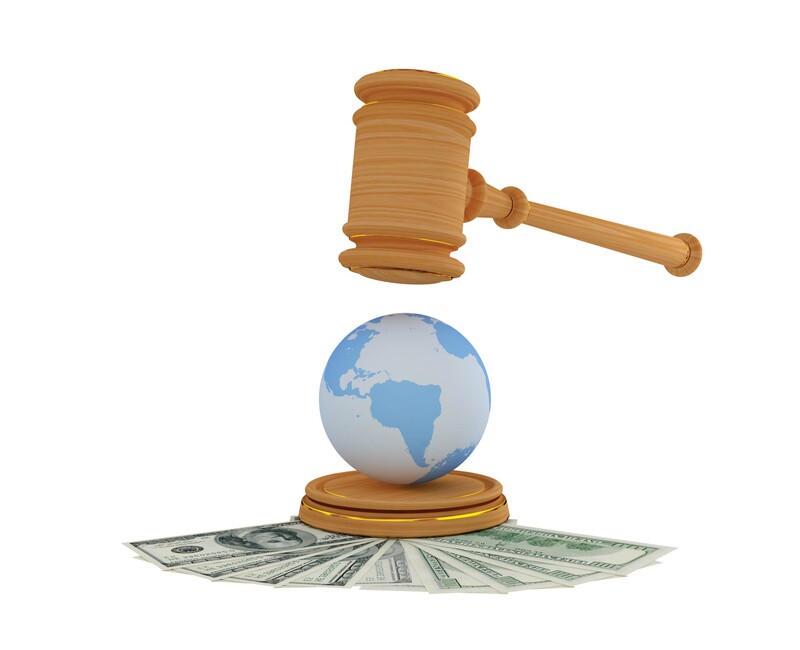 Arbitration has long been favored over conventional litigation in international commercial disputes. Generally, arbitration is more efficient than a courtroom because of limited appellate rights, restrictions on open-ended discovery, and an agreed trial schedule. Yet, international arbitrations can also pose difficulties for parties. Resolution of these difficulties may be addressed through careful and deliberate drafting of the arbitration clause, which may define an array of rules and procedures limited only by the imagination of the parties, including: the locale for arbitration; specific organizations and rules to conduct the proceeding; the confidentiality of the proceedings; what and how information may be disclosed during the discovery phase; how long the proceedings will last; who and/or how many arbitrators will decide the case (and the qualifications of such arbitrators); the time for the arbitrator(s) to render the award and the level of specificity which must be included in the award; the appellate rights, if any; the choice of language for the proceedings and award; the place(s) where the award may be confirmed and enforced; the currency of the award; the interest rates to be applied; and which party should be responsible for paying the arbitration costs and/or attorneys’ fees incurred in the proceedings. Perhaps the most overlooked clause is the place where the proceedings are held and administered. Typically, the forum must have some connection to the dispute. But what happens when two cross-border companies prefer the resolution forum to be outside the eyes and ears of their boundaries? It is not a secret that many foreign companies would flock to U.S. courts, if they could, to take advantage of a relatively stronger, more reliable and predictable legal framework than exists in many countries. Still, the U.S. courts are not open to just any dispute – there generally must be a logical nexus for a court to be open. There is, however, an exception – if the dispute qualifies as an international dispute under Florida’s International Commercial Arbitration Act (FICAA). Under FICAA, the parties may still contractually agree to have private arbitration in Florida, even if there is no nexus with Florida. In fact, choosing Florida as the forum is not only permitted, it is openly encouraged. As a result, the Sunshine State -- South Florida in particular -- has become the “go-to” forum for international arbitration. In 2010, the Florida Legislature enacted FICAA, Fla. Stat. §684.0001, et seq., which is modeled after the United Nations Commission on International Trade Law Model Arbitration Act (UNCITRAL). The passage of FICAA resulted in South Florida fast-becoming a leading forum for resolving international commercial disputes. Recognizing the intrinsic value of being the preferred forum for international dispute resolutions, and thus a leader in international trade, the leaders of Miami presciently formed the idea to create a special court to facilitate the international arbitration process held in Miami. In December 2013, Miami-Dade County announced the establishment of the International Commercial Arbitration Court (ICAC), which is staffed by specially trained judges to exclusively address international commercial arbitration matters. Likewise, The Florida Bar rules were amended to allow lawyers from any country in the world to participate in international arbitrations in Florida without many of the restrictions placed by other states. See, e.g., R. Regulating Fla. Bar 1-3.11. Equally significant is the fact that the ICAC has built-in mechanisms to not only compel the arbitration process but quickly confirm the award. Correspondingly, the South Florida community is replete with competent and qualified multi-lingual, multi-cultural arbitrators. Compelling South Florida even further is the demographic realities that Miami enjoys comparatively lower costs than its arbitral competition, and the convenience of Miami’s central geographic nexus to Latin and South America along with the infrastructure that affords efficient transportation to Europe and Asia. The result of these efforts is that Florida is now lauded as one of the most arbitration-friendly states in the world, and Miami has become a top-five forum for such disputes. The success of South Florida as a hub of international arbitration has resulted in Miami’s selection as the forum for several high profile, multi-billion dollar actions. Indeed, the volume of recent filings convinced the International Center for Dispute Resolution (ICDR) to open a new Miami office in order to respond to the onslaught of Miami-based international arbitrations. It is a fact of international commerce that deals go sour, disputes arise, and aggrieved parties must be made whole. Carefully drafted arbitration clauses provide a modicum of predictability for the dispute resolution process. As part of the bargaining process, parties should consider Miami as their agreed forum. While international dispute resolution is never easy, Florida’s cutting edge arbitration statute supplemented by the support of its specialized courts and its Bar have rendered South Florida the ideal hub for the chosen dispute resolution forum between international parties. Allan A. Joseph is a founding member of Fuerst Ittleman David & Joseph, PL. Since 1991, Joseph has concentrated his practice on business-related disputes, including Complex Commercial Litigation, Business Litigation, Business Torts, Insurance Litigation, Real Estate Litigation, Shareholder and Member Derivative Actions, Intellectual Property Law, Alternative Disputes Resolutions Practice, International Law Litigation, Professional Malpractice Litigation, Civil Litigation, and Domestic Relations Litigation. Stephen H. Wagner is a Partner with Fuerst Ittleman David & Joseph, PL. He practices primarily in the area of international business transactions, representing clients with trade and customs issues as well as corporate law matters.